The Flight Deck Veterans Group and Cherrybend Pheasant Farm, in partnership with R+L Carriers, hosted the 2016 Operation Cherrybend event which raised over $60,000 on Saturday, Oct. 8. Net proceeds of this event will fund other veteran events including survivor outreach activities, local 5-star events and next year’s concert. 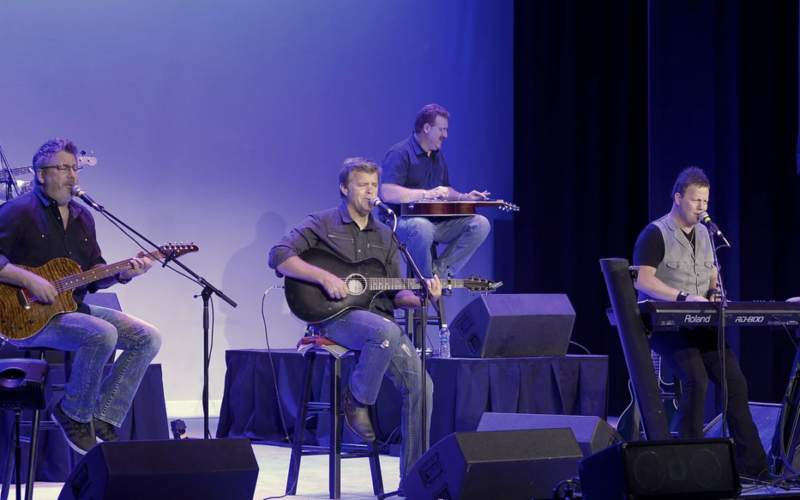 The annual event featured platinum-selling country band Lonestar and special guest Jared Ashley at The Murphy Theatre. Songwriters Marine Corps. veteran Sal Gonzalez, Marine Corps. veteran Daniel Dean and Jerry Adams joined in a songwriters in the round to kick off the concert. Former WWE superstar and star of the movie “The Marine 2,” Ted DiBiase Jr., showed his support at the event. Jason Koger, the first bilateral arm amputee in the world to receive bionic hands controlled by an app, was also in attendance. Operation Cherrybend was founded in 2015 by Nashville recording artist and U.S. Navy veteran Jared Ashley, in partnership with the Ellis family, owners of Cherrybend Pheasant Farm, a 640-acre hunting preserve in Wilmington. The mission of Operation Cherrybend is to thank our nation’s veterans and spread awareness about veteran’s issues. The Nick Erdy Foundation donated tickets to the concert on Saturday so veterans and active duty military personnel could attend for free. The foundation was established in honor of Lance Corporal Nick Erdy, a local Ohio hero that lost his life while serving in Iraq in 2005. Operation Cherrybend hosted a Hero’s Party on Friday night to honor local and visiting veterans. Ashley and Beth Ellis, co-owner of Cherrybend Pheasant Farm, announced the launch of Cherrybend Guitars, a line of custom guitars to be donated to wounded veterans at rehab centers like the Walter Reed National Military Medical Center. Ashley, along with Sergeant Major Overstreet, the 12th sergeant major of the Marine Corps., granted Ellis the honor of a lifetime membership to The U.S. Navy Flight Deck Veterans Group as a civilian. Ellis was recognized for her devotion to the United States Armed Forces and her service to military veterans. “Operation Cherrybend is an event made possible by the generosity of our community with individual and business sponsors. R+L Carriers served as this year’s title sponsor and is committed to honoring our veterans. Liberty Creek Wine graciously sponsored the VIP Experience for concert-goers. I’m so humbled by the donations and volunteer hours our community put in for this event. Twenty-two veterans take their lives every day. To all veterans and active duty military personnel, we want you to know how grateful we are for your service. Thank you,” said Ellis. Though excited by the event’s success, Ashley is already thinking about its future. “Operation Cherrybend, although in its infancy, is doing big things and I can’t wait until next year. In the meantime, we look forward to expanding the event to Arlington, Texas with a special show that we will announce in the coming months,” Ashley said.